In the last panel, their minds roam back to 1892. Time is fluid in Zippyland. What puts them in Coney Island (and therefore in Brooklyn — note the title, which also alludes to Kansas, via the line “We’re not in Kansas anymore”, which Dorothy Gale says to her little dog Toto in the movie The Wizard of Oz), in (roughly) 1951? Two things: the Shore Hotel (panel 1) and the Kansas (Fried) Chicken (panels 2 and 3). 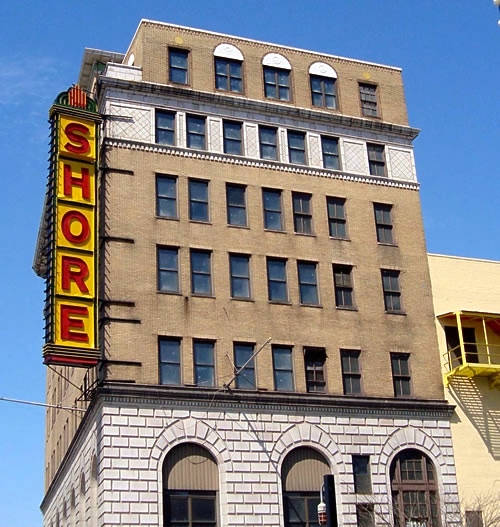 The Shore Hotel. This part of the story was hard to assemble, because it seems that there were two Shore buildings on Surf Ave. in Coney Island: the Shore Hotel, at 1230 Surf. Ave., which was demolished in December 2010; and the Shore Theater, at 1301 Surf Ave., which was closed around March 1973 but still stands, with a remarkably well-preserved exterior (and landmark status); the current owner refuses to sell it, though there are a number of potential buyers. In any case, the hotel was in use in 1951. 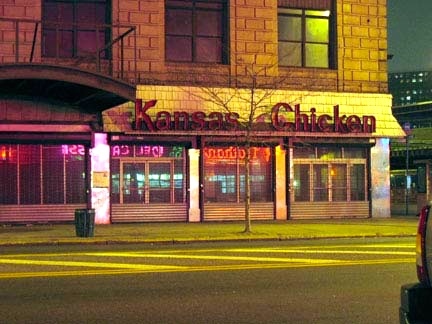 Kansas Fried Chicken used to be a decent-sized chain until it largely went out of business. One outlet remains in Downtown Newark, along with this seemingly-always-closed storefront in Coney Island (with Nathan’s neon sign reflected in its windows). The Coney Island outlet was doing business in 1951. Strangers on a Train is an American psychological crime thriller film with film noir elements, produced and directed by Alfred Hitchcock, and based on the 1950 novel of the same name by Patricia Highsmith. It was shot in the autumn of 1950 and released by Warner Bros. on June 30, 1951. The film stars Farley Granger, Ruth Roman, and Robert Walker, and features Leo G. Carroll, Patricia Hitchcock, and Laura Elliott. 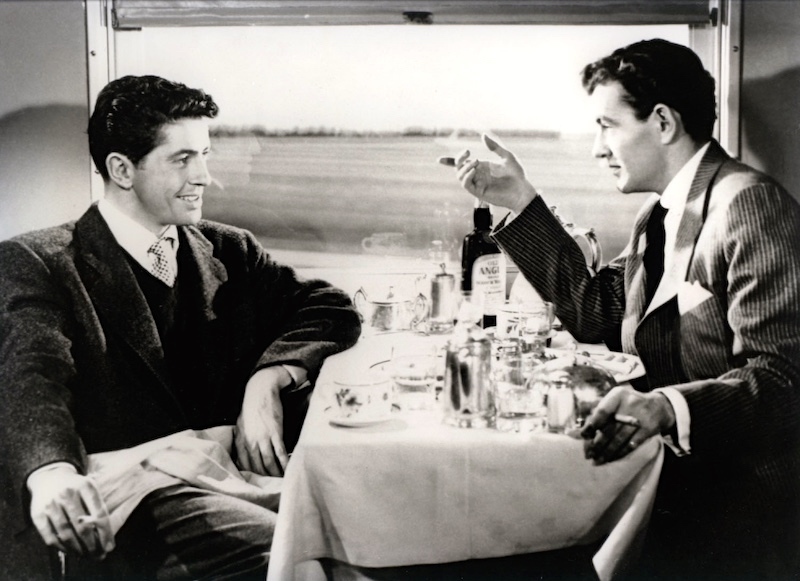 … The story concerns two strangers who meet on a train, a young tennis player [played by Farley Granger] and a charming psychopath [played by Robert Walker]. The psychopath suggests that because they each want to “get rid” of someone, they should “exchange” murders, and that way neither will be caught. The psychopath commits the first murder; and then tries to force the tennis player to complete the bargain. Zippy’s probably fond of A Place in the Sun. 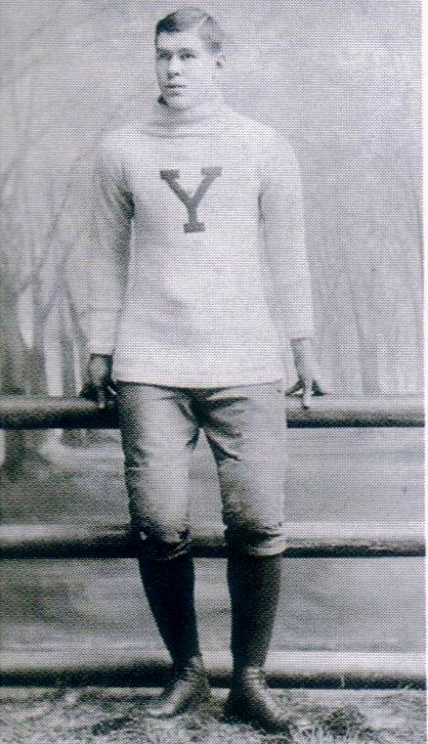 William Walter “Pudge” Heffelfinger (December 20, 1867 – April 2, 1954) was an American football player and coach. He is considered the first athlete to play football professionally, having been paid to play in 1892. This entry was posted on December 31, 2015 at 6:28 am and is filed under Holidays, Linguistics in the comics, Movies and tv. You can follow any responses to this entry through the RSS 2.0 feed. You can leave a response, or trackback from your own site. Isn’t this set on New Year’s Eve 1957 (i.e., 12/31/1956), not 1951? The building seems clearly to be the Shore Theater and not the Shore Hotel, http://www.saveconeyisland.net/?page_id=1106. Drat! (about misreading the date). Well, I got to post about Strangers on a Train, though it’s irrelevant. Many sighs.